Parasites such as human intestinal worms are a far more common problem than most people realize. But what are some of the symptoms of tapeworm and other worms and how can you use pumpkin seeds for parasites as an intestinal worm treatment? Below is a natural remedy for tapeworms and other worms, based on a traditional German parasite treatment using raw pumpkin seeds. First though, let’s look at the problem of parasites and some of the most common symptoms of parasitic intestinal worms. Parasites can enter our bodies through contaminated water or food (particularly from meats that are not fully-cooked or raw sashimi fish); mosquitoes; intimate contact; or through the nose or mouth after touching an infected animal or contaminated surface. Generally, a healthy person’s body should deal with parasites effectively and prevent them from getting a chance to get a foothold. However, when your first immune system is weak or your digestive system is functioning poorly, parasites like intestinal worms can become a big problem, manifesting a variety of sometimes baffling symptoms. The difficulty in diagnosing intestinal parasites is that the symptoms often mimic other health problems. Experts in human parasites have said that parasitic infection is a condition commonly goes undiagnosed. Parasitic infection of the gastrointestinal tract can be responsible for intestinal bloating and excessive gas. This is due to the blockages tapeworms and other parasites can cause in your digestive system and the changes they often make to the intestinal environment. Conversely, parasitic worms can block the passage of digesting food or waste being eliminated, resulting in constipation. Chronic constipation can lead to a host of health problems if left untreated. Parasites are a serious problem and a lot more of us may be infected with them than we realize. This is due to the symptoms (and there are many more than those listed above) often been explained away as something much easier to diagnose. Pumpkin and papaya seeds are traditional remedies for parasites, and in this article we will discuss how to use pumpkin seeds as a treatment for intestinal worms. Importantly, this pumpkin seed remedy for intestinal worms may not actually kill the parasites outright. It is believed the high levels of compounds known as cucurbitins paralyze the worms. This prevents them from holding on to the intestinal walls, as they usually do during a bowel movement. It is strongly recommended to follow this pumpkin seed treatment with diatomaceous earth or bentonite clay, to make sure that as many worms as possible are expelled during deworming. You want the consistency to be like a smooth paste so start by blending in the coconut milk and then add the water in small amounts until it’s smooth and creamy. A quality blender is great for making healthy recipes like this. 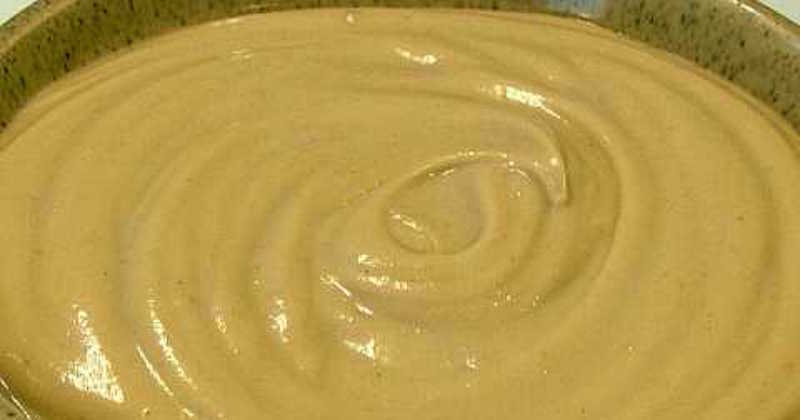 Getting the mixture out of the blender and into a bowl can be tricky. I find a silicon spatula does the job. Eat this, just as you would a porridge breakfast, on an empty stomach in the morning. It actually tastes quite good but is very filling and you may struggle to finish it. You can also add a pinch of seasalt or Himalayan salt for taste, if you like. Store-bought honey and especially sugar is not recommended, as these work against the purpose of the treatment and feed parasites. 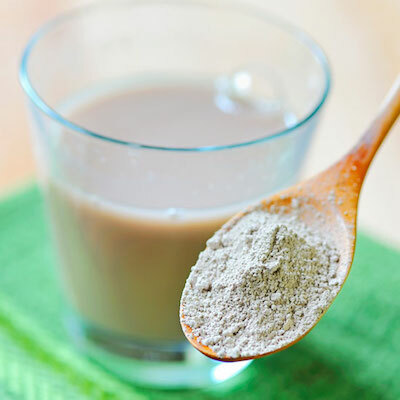 Within the hour make sure you drink a large glass of water with a teaspoon of diatomaceous earth or bentonite clay. And drink several glasses of water over the next few hours. This is important to keep the pumpkin seed parasite treatment moving along and doing its work. When doing the cleanse, eat up to 1 tablespoon (start with 1 teaspoon) of castor oil as a laxative. Take the castor oil at least two hours after eating the pumpkin seeds smoothie. Before too long, the paralyzed worms will be eliminated. Be sure that you have easy access to the washroom. Choose to do this parasite cleanse on weekends or on your days off. Take a course of high quality probiotics whether by food or supplement. It is important to keep a healthy gut flora to prevent parasites from dominating in the digestive tract. While some people may get results with just one treatment, intestinal parasites like tapeworms can be tenacious and making up the mixture multiple times is likely to be more effective. 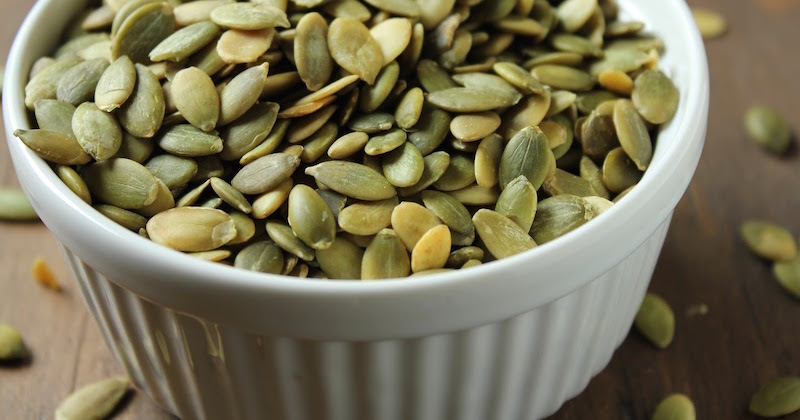 For best results, take this pumpkin seed parasite treatment first thing in the morning for at least two or three days (and no longer than a week, as laxatives shouldn’t be used for more than seven days in a row). Stop for a week and then repeat the following week. Follow this pattern for up to a month to deal with the parasite breeding cycles. It is beyond the scope of this article to cover all that is involved in treating parasites once they get a hold, but it is a start. Related reading: How to completely eliminate parasites in your body. Great article! This info needs to be disseminated more than ever! I have never seen so many young adults with rosacea which may be caused by leaky gut exacerbated by parasites or a poor immune system which causes an explosion of demodex mites on the face. Gluten Free is the is the best way to go to avoid/heal leaky gut and glyphosphate from GMO wheat and other foods which causes cancer! I’ve been dealing with parasites for over a year now and am so frustrated by their persistence! I am about to try this remedy… wish me luck. I hope this eliminates them for good! Hi Allie, for more stubborn parasites and complete eradication, you need to do a gastrointestinal cleanse, followed by a complete parasite cleanse. Read more here: https://juicing-for-health.com/parasite-cleanse-for-parasites-in-humans. Please ask if you have any questions! This pumpkin seed blend (along with Dr. Clark’s walnut, green black walnut, and super W blend, l-Ornithine, and l-Arginine) are my next plan. However I can’t find food grade castor oil anywhere, only oils found in the haircare isle that says for external use only. Do you have any suggestions for this?